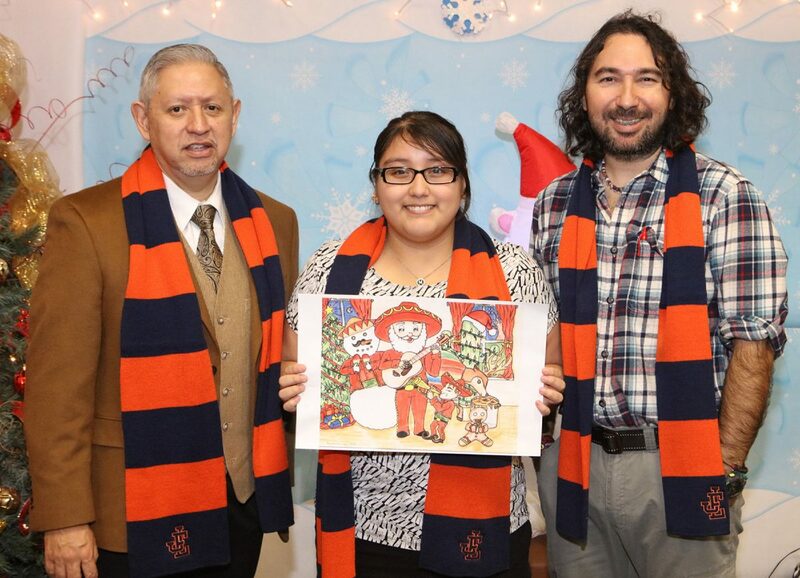 Maritza Flores is pictured with her winning artwork along with Edinburg Economedes principal Raul D’Lorm and Edinburg Economedes art teacher Marco Sanchez. 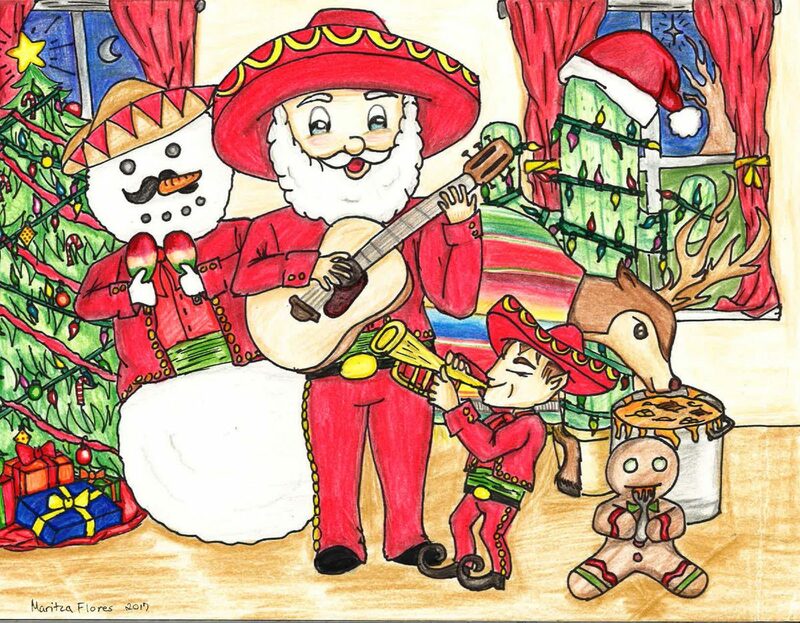 EDINBURG — The Region One Education Service Center recently selected a student from the Edinburg Consolidated Independent School District as one of the winners of its annual Holiday Art Contest. Flores said that she learned about the contest from her art teacher, Marco Sanchez. Winning art work by Edinburg Economedes student Maritza Flores. According to Region One, the winning entries will become the artwork on the “official” Region One ESC holiday card sent out to regional and state educators. Winners will receive a set of holiday cards, with their art design, to share with friends and family in addition to a prize package of art supplies.